When compared to national numbers, it’s clear that Colorado is in desperate need of more teachers who have the ability to offer rigorous, engaging computer science courses. Click HERE for Summer 2019 PD Workshop Plans. Colorado K-12 students need ample opportunities to develop skills and interest in computing, especially since the computing job sector is growing, satisfying, and well-paying. In addition, these opportunities need to be available for all students. Alas, women and minorities are underrepresented in the demographics of students who take the AP CS A Exam at both the national and state levels. Here in Colorado, only about 15% of students who take the AP CS A Exam are women (compared to 20% at the National level). Also, while approximately 33% of high school students in Colorado are Hispanic/Latino, only about 7% of the AP CS A Exam takers are Hispanic/Latino. The lack of engaging computer science courses for women and minorities in Colorado's high schools needs to be addressed. Improved CS Education in Colorado! Colorado School of Mines will be hosting a weekly workshop from 8 - 10am every Saturday in 2016 starting September 10th and ending November 19th. We will be covering the Code.org CSP curriculum during this time. There is no need to register in advance for these sessions, attend as many as you can! Each day of the workshop will increase in proficiency; those new to computing should, therefore, plan to attend Day 1. Understand what a computer program is. Explore pair programming through development of a fun game. Explore incremental development and larger projects in Scratch. Learn how code challenges can help expand student growth in computer science. All workshops are free of charge, and may include a stipend for participating. Whether a participant receives a stipend will depend on availability of budget and whether the participant's district is willing to provide aggregated data on students taking computer science courses. Participants will receive a certificate for the professional development hours attended. Snap! is a visual, drag-and-drop programming language that is suitable for a serious introduction to computer science in middle and high schools. If you would like to introduce students to programming, then come learn the basics of Snap! Also, if you are doing the BJC training and are new to programming, then this workshop is recommended; that is, this workshop will help you with some of the work you need to complete prior to the in-person week of professional development. Python is a high-level general purpose programming language that is easy to learn, making it suitable for an introductory programming course. This workshop will teach the fundamentals of programming as well as the advanced features on Python. Participants are encouraged to attend at least July 6-7th, with July 8th as an option for those who want to delve deeper. Python is a high-level general purpose programming language that is easy to learn, making it suitable for an introductory programming course. This workshop will teach the fundamentals of programming as well as the advanced features on Python. Participants are encouraged to attend at least July 31st/Aug 1st, with Aug 2nd as an option for those who want to delve deeper. Computer Science... what's the big idea? When teaching computer science (CS) topics, it can be too easy to miss the wood for the trees. Why do students need to know how to "code"? Why do we teach them how to work with binary numbers? What's the purpose of learning bubblesort and quicksort? This workshop will look at a list of 10 "big ideas" of computer science that have been distilled based on input from curriculum designers and CS experts around the world, and they will be presented in a fun and engaging way. Teachers will then be able to relate the 10 "big ideas" to various topics they teach in computer science to the context of a bigger picture. We will explore the big ideas using examples of teaching activities, particularly from the "CS Unplugged" project that Tim leads. Even if you are new to computer science and want to know "what's the big idea", you will learn useful topics for the courses you teach. Bringing your own device will be very useful, but there will be options available if that's not possible. Note: Workshop leader is Tim Bell, the creator of CS Unplugged. Computational thinking (CT) applies to subjects outside computer science, and music is no exception. CT ideas such as decomposition, patterns, abstraction and algorithms can all be exercised in a meaningful way while at the same time engaging students with key concepts from music. This workshop will present ideas for having students exercise ideas from music while at the same time developing skills relating to CT. The session will assume an interest in music, but not necessarily specialist knowledge of music theory - you'll get to explore that via computational thinking! If you have a laptop and headphones, please bring them. Bringing your own device will be very useful, but there will be options available if that's not possible. Contact Tracy Camp (tcamp@mines.edu) for more details. Post-Workshop: Complete any online course work. Additional year-round support and small-group mentoring will be provided! 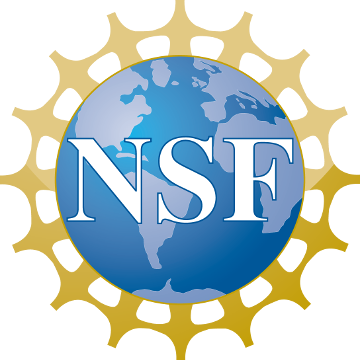 This material is based upon work supported by the National Science Foundation under Grant No. #CNS-1543231.